Customer service is everything. At least, this is what we believe, here at MeloTel. It’s never lost on us that we are customers too. This is especially made evident during the holiday shopping rush that forces most of us into crowded malls in order to buy gifts for our loved ones. In all of the hustle and bustle, it’s nice to get excellent customer service so that the entire process isn’t such a harrowing one. The same can be said for the type of customer service that is done over the phone. Just like holiday shoppers, customers who call up your company are generally in no mood to have their time wasted. Not only do most of them look for expedient service, but they want correct answers, friendly voices and feelings that inspire trust in your brand. As a business owner, you should have your customer service regime set up in such a way that your customers enjoy calling you. 1. Be friendly and polite. Here’s hoping that this particular tip can be put in the “obvious” category. Then again, if you’ve had the types of experiences that we have had as customers, you know that not all companies have mastered the art of being kind over the phone. It’s not just as simple as saying “please” and “thank you”. Be sure that your tone is one that communicates friendliness and a sense of joy in helping your caller. 2. Call your customer by name. No, you may not be best friends with your callers. But, it doesn’t have to sound that way. Believe it or not, using a customer’s name will be a lot more appreciated than “sir” or “ma’am”. It’s important to build a rapport with the people who call your company so that they feel comfortable calling you at any time. Using names – and being sure to pronounce them properly, by the way – shows your level of respect and consideration. 3. Show empathy. When irate customers call up with major concerns, you should see these instances as opportunities for your staff to showcase their customer service skills. Remember the human side to the job. It’s important to not bypass the emotional strain that may or may not have been caused by something your company did. Regardless, empathize with your caller’s concern and show that you truly understand why he or she is upset. 4. Go above and beyond the call of duty. 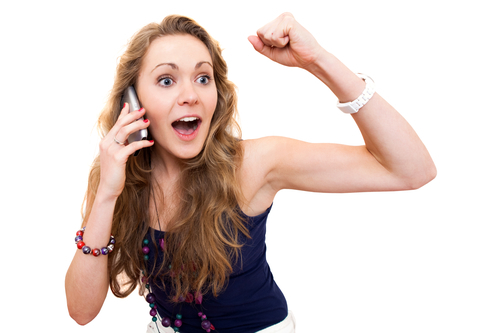 If you really want to make things fun for your callers, then find ways to “wow” them with every call. Provide something more than what they called for. Sometimes, this can be as simple as offering a goodwill credit on a bill due to an inconvenience. In other instances, offering perks such as free shipping or discounts on future purchases can go a long way. 5. Ask for feedback. Let your customers know that their opinions matter. Don’t be afraid to ask them if there is anything more that you can do to make their days. After all, who better than your customers to tell you how good or bad a job you’re doing in the world of customer service? You may even want to create a short survey of questions for them to respond to in order to ensure that all future calls are that much more fun for them. Discover how fun it is to call MeloTel! 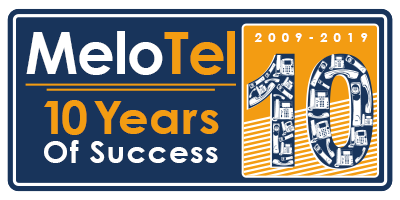 For more information on MeloTel’s Commercial Phone Services, please don’t hesitate to contact us at 1-888-MELOTEL or use the “Live Chat Support” feature on our website!